The following information shows where you will find certain information on your CEC cosmetology certificate. 1. Cosmetology Edu Classes(CEC) logo watermarked. 3. Certificate provider & Provider #. 6. Course Name, Course Number & CE Credit Hours. The leading alpha characters represent the CEC course location the course was purchased through. They are for CEC use only. 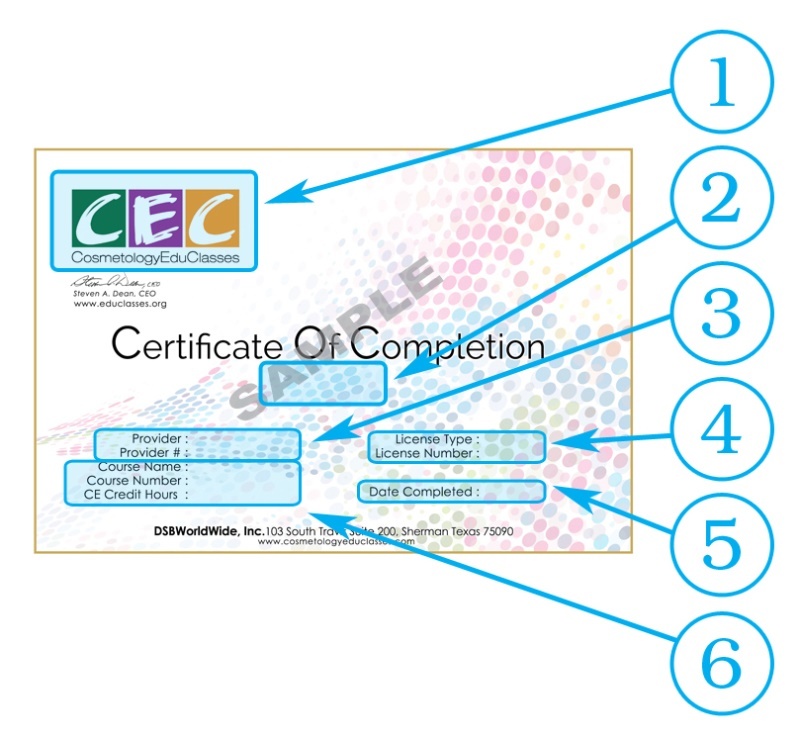 The following series of numbers are the actual unique certificate number specific to the student certificate.